I've been taking droplet photos for a few years now and everything I know I learned from my fellow artists on deviantART, flickr and redbubble, as well as by trial and error. I often get asked about my free-falling droplet pictures, how I managed to focus in a particular way, what is my lighting set up, what equipment is best to use, all of which are really good questions so I hope this tutorial will give you a good example of the procedure, set up, equipment and post-processing which I found to be the best and the cheapest. 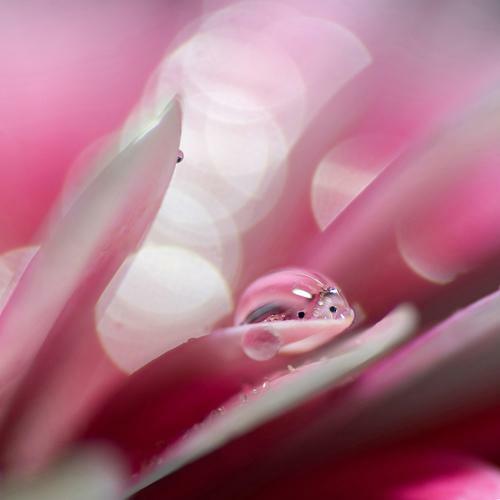 I never use focus-stacking in my droplet pictures. I feel it is unnecessary and essentially a photomanipulation. For further thoughts on this issue have a look at reflection vs refraction tutorial. Wrap the background around and underneath the tap so that the part you want refracted (shown) in the drop is clearly visible. It will probably be about 10-20cm away from where drop will be falling. Remember that the refraction shows upside down, so if you intend to keep the orientation of the image, flip it upside down to refract the right way up in the drop. Let the tap drip slowly. Position the camera on a tripod and make the effort to frame the shot well, you may choose to crop it later but sometimes the uncropped shot can look really nice too. Meter your light and take a few test shots of your finger under the dripping tap, so that you actually focus on where the drop will be. Use manual focus only, and adjust focus on the fingernail because that will mean that the drop in the same position will be also in focus. Now try to catch that elusive drop. Test your flash setting and see what works well in relation to ambient lighting coming from the window and the room (kitchen in my case). You may have to adjust flash settings as the ambient light changes if it changes quickly or you shoot for a long time, so in any case, see what works and check often. This time I had some frontal flash because it was needed to set off the off camera flash (I didn’t have Pocket Wizards or a synch cord then. Still don’t have a synch cord because I heard it can ruin your camera if something goes wrong with the electrics) but keep that frontal flash to a minimum. Hand hold the off camera flash (remote setting, camera on Manual flash, then they’ll synch) and shoot changing flash position until you find what looks best. 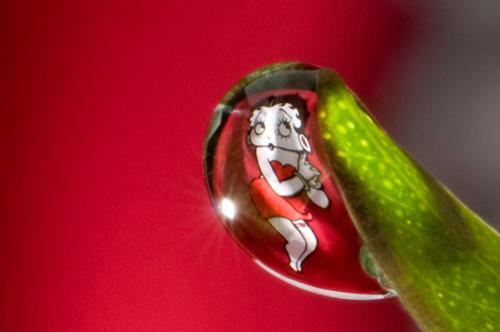 I often illuminate the background behins the drop so i don’t get the flash reflection on the droplet surface but rather, show off the background well (i figured this out only recently). Start taking pictures, if you have continuous shooting function on your camera, use it, you’ll get the photo you want a lot sooner (but beware that the flash wont always fire because it takes time to charge each time). Experiment with your aperture as much as you can considering you will most likely use fairly fast shutter speeds (1/100 and above), but remember that it’s the flash that freezes the drop in the picture, NOT the shutter speed, so feel free to try shooting with flash and shutter of 1/80, you should get good results too). If you want to take just a stationery droplet picture, all this becomes a lot easier – the equipment is the same but you don’t need a dripping tap. I set up on my dining room table, with my tripod as close to the edge as possible because I most often use extension tubes combined with either a macro lens or a prime 50mm 1.8, so I actually need to be extremely close to the subject (about 5 cm or closer). The way I do it is, usually a small vase with a flower in it. 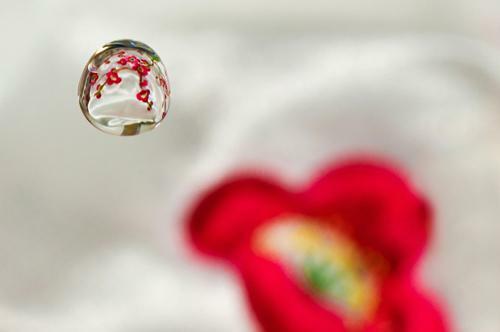 Place droplets where you want them, with a needle and a syringe (you can use water or you can use glycerin, I use them both, glycerin will give bigger, more stable droplets but water is just beautifully round, so experiment with both). Stand a thick cookbook behind the drop. Whatever you want to show inside the droplet should be approximately A4 in size and stood up about 10 cm behind, leaning on the cookbook. And now it’s all about the angles. It is a work that requires patience and practice, it took me 3 years to be able to shoot completely confident that I’ll get the shot I want pretty much straight away, but in the beginning, I’d get one decent picture out of a 100. It’s, like with anything else – practice makes perfect. So, experiment as much as you can (it’s lots of fun and you’ll get great pics straight away, don’t take me wrong) until you get the idea what works best for your set up in terms of camera angles and hights etc. Alternatively, you can shoot from above angle, in which case you are more likely to not get anything to actually show up in the droplet (refraction) but rather to show just droplet shape, surface and it’s surroundings. 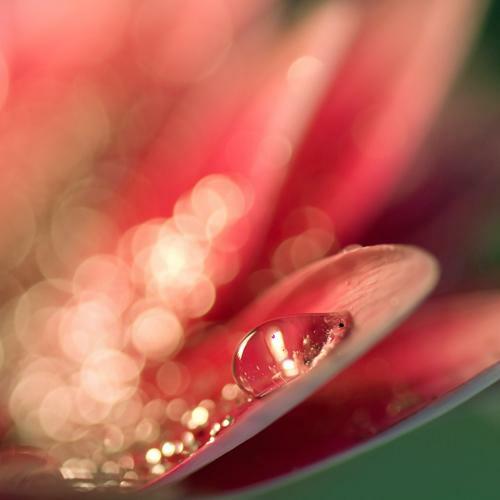 For your typical glittery-bokeh reflection droplet shots, people often place feathers on mirrors, or flowers and then glitter and droplets on it, and by illuminating it with flashes, you get glittery magical water droplet shots. 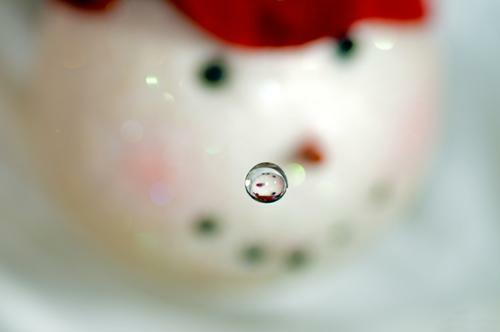 In a way, treat the refraction in the drop as a photo on its own, and see how you want to shoot it. Shoot in RAW, if at all possible. All the photos above were converted from RAW in Photoshop Elements or CS5. I encourage you to play with levels, colour and white balance, exposure, brightness and curves adjustments, before you open it in Photoshop (PS). You’ll often find that that’s enough processing. The Cherry Blossom picture was further cropped in PS to add the flower in the background to the frame, and to increase the size of the drop. 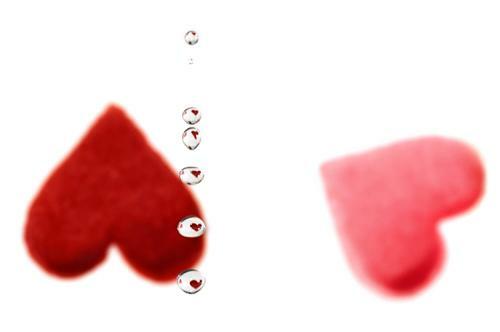 The drop was isolated with quick selection tool and sharpened using Unsharp mask once. Finished! WHAT WOULD I DO DIFFERENTLY IN THAT PHOTO? 1. Use Pocket Wizards they wirelessly synch the camera and off camera flashes, so you don’t have to have frontal light. 3. If I had noise reduction software (such as Topaz DeNoise) and better version of photoshop, I would sharpen the drop using High Pass filter, and reduce the noise better using the plug in.